GRC Pundit Michael Rasmussen and his team of analysts have assessed OXIAL GRC solutions. Agile. The market is inundated with GRC solutions that are frustrating clients because they are complex, time consuming, and take months to over a year to get working and then often only partly This is particularly true in risk management, but also in other areas such as third party management, and policy management. Oxial allows clients to be agile by delivering on time and on budget. Intuitive. Oxial solutions are intuitive and easy to use, and becoming more so. Clients do not need to send staff through huge amounts of training and certification programs. Oxial delivers intuitive, engaging, and easy to use GRC at the business level as well as the back office of risk management and other areas of GRC. Value. Oxial delivers results. The value of Oxial can be measured around efficiency, effectiveness, and agility. You make organization more efficient in GRC through human and financial capital efficiency. OXIAL can make organizations more effective in mitigating risk and meeting objectives. Engaging. It appear that you are easy to work with. Oxial does the simple relationship things like pick up the phone, engage clients and expand their solution to meet client needs, you basically get involved in client relationships and never pass the buck. If something needs to be addressed – Oxial addresses it. Depth. OXIAL has a competitive and feature rich solution. It has been built out carefully, instead of haphazardly put together to meet promises made in an RFP that did not really exist. Michael Rasmussen is an internationally recognized pundit on governance, risk management, and compliance (GRC). With 21+ years of experience, Michael helps organizations improve GRC processes and choose technologies that are effective, efficient, and agile. He is a sought-after keynote speaker, author, and advisor and is noted as the “Father of GRC” — being the first to define and model the GRC market in 2002 while at Forrester. Michael has contributed to U.S. Congressional reports and committees, and currently serves on the Leadership Council of the OCEG and chairs the OCEG Technology Council. GRC 20/20 Research run by Michael Rasmussen, provides clarity of insight into governance, risk management, and compliance (GRC) solutions and strategies through objective market research, benchmarking, training, and analysis. We provide objective insight into GRC market dynamics; technology trends; competitive landscape; market sizing; expenditure priorities; and mergers and acquisitions. GRC 20/20 advises the entire ecosystem of GRC solution buyers, professional service firms, and solution providers. Our research clarity is delivered through analysts with real-world expertise, independence, creativity, and objectivity that understand GRC challenges and how to solve them practically and not just theoretically. Our clients include Fortune 1000 companies, major professional service firms, and the breadth of GRC solution providers. 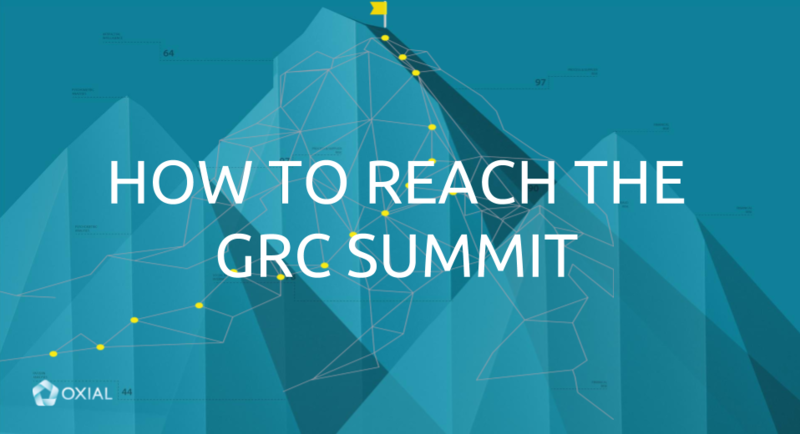 Fill in the form to receive your copy of the OXIAL Solution Overview by GRC Pundit Michael Rasmussen & his team at GRC 2020.